Salomon Zurel was born to Mozes and Rebecca (née Vos) on the 18th of September 1922 in Amsterdam. Mozes and Rebecca had another two sons, the eldest Jacques, born in 1920 and the younger Isidor born in 1925. Salomon was the middle child. None of the sons married. The father of the family, Mozes, owned a radio shop. His eldest son Jacques was an upholsterer, Salomon worked as a printer and the youngest, Isidor, was an upholsterer's apprentice. In 1941 the family lived in Amsterdam at Mosplein 31 I. 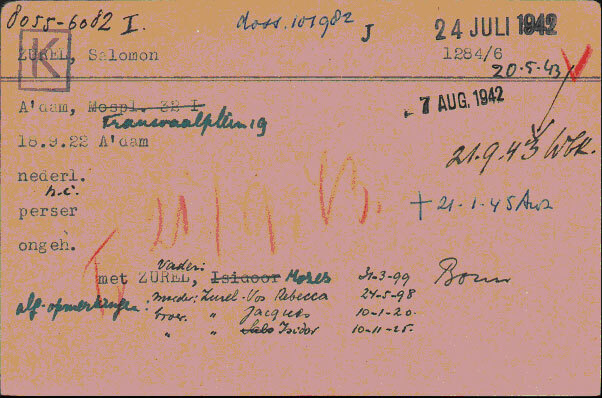 On the 20th of May 1943 Salomon was sent to Vught concentration and transit camp in Holland. On the 21st of September he was transferred to Westerbork transit camp and then deported to Auschwitz-BIrkenau on the very same day. 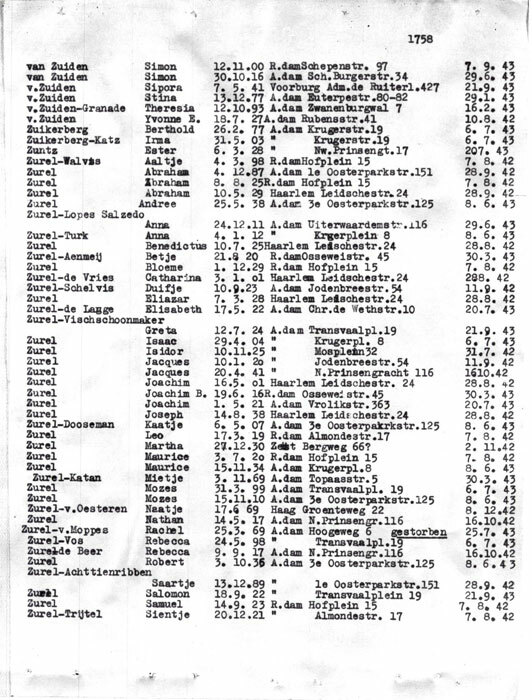 On arrival at Auschwitz he passed the selection, received the number 152147 and became an inmate of the camp. There is a record regarding him in the camp documents from the 9th of May 1944. The Zurel family all perished. Isidor was murdered in Auschwitz on the 30th of September 1942 at the age of 16. Jacques perished on the 31st of January 1943 in the Seibersdorf Camp. The parents Mozes and Rebecca were murdered on the 9th of July 1943 in Sobibor death camp . 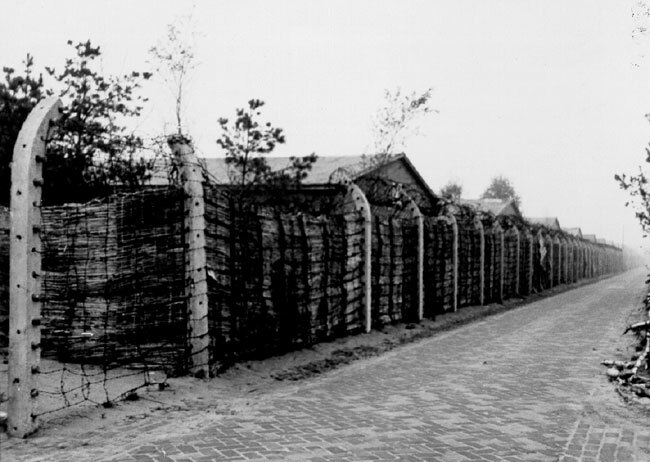 On the 23rd of November 1943, an RSHA transport from Westerbork transit camp arrived at Auschwitz containing 979 Jews, including 60 children, 384 men, 394 women under the age of 50 and 141 elderly. 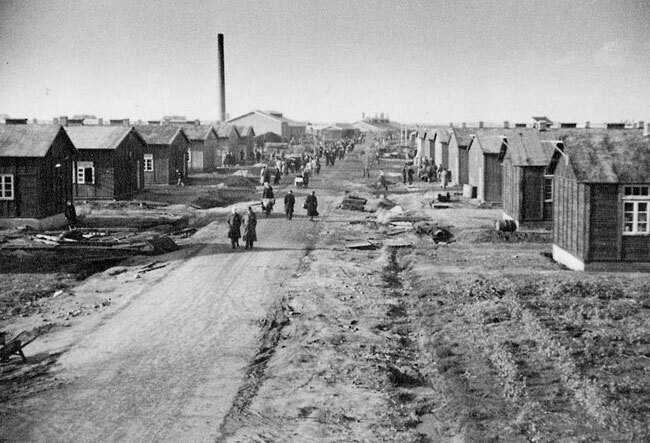 Following the selection, 303 men received the numbers 151852 – 152154 and 288 women received the numbers 62984 – 63271 and became inmates of the camp. The remainder, 388 Jews, were murdered immediately in the gas chambers.